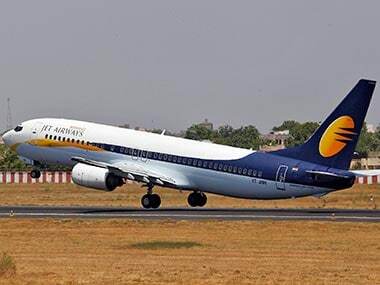 On Thursday, the beleaguered Jet Airways announced that it was suspending all international flights with immediate effect. The only international flights which have departed since midnight are those which are returning to India from the airline’s key gateway of Amsterdam and London. Ironically, this came on the day when Etihad is said to have formally submitted its expression of interest (EoI) to State Bank of India (SBI) for increasing stake in the airline and infusing the much-needed funds. From a fleet of 123 aircraft and many more on order, the airline today is operating a fleet of 2 B737 and 7 ATRs and may operate a few widebody aircraft like the B777 or A330 on the domestic circuit between major metros. The fall has been rapid, to say the least. While its domestic schedule has been in a disarray for a long time, the airline was relatively stable with its widebody operations to the West with flights to Amsterdam, London, Paris and Toronto operating as per schedule. The airline closed reservations for flights to Paris CDG where it operated from Mumbai and Chennai and cancelled all flights with immediate effect. This was followed by flights to London – where the airline operated from Mumbai and Delhi as well as all flights to Amsterdam which sees a mini-hub of Jet Airways with flights from/to Delhi, Mumbai, Bengaluru and Toronto. This was the last set of widebody flights which the airline was operating after it had pulled out of Hong Kong and Manchester. It has seen the regional flights first shifted to the B737 aircraft and later curtailing schedule followed by a complete pullout. This included flights to Dhaka, Singapore, Dubai, Abu Dhabi, Bahrain, Doha, Dammam, Riyadh, Kathmandu, Jeddah and Kuwait. Why did the airline keep operating the widebody aircraft that are more expensive than the narrowbody aircraft, which could be used for more flights, on the domestic sector? The airline was getting 50 percent of its revenue from international operations when it was operating in full swing. The airline owns most of the widebody fleet, unlike the narrowbody fleet which has majorly leased and the lessors have enforced the grounding for lack of payment. While the airline may default on the loan for these owned aircraft, no bank has yet hypothecated the aircraft for a delay in loans. The one aircraft which was grounded in Amsterdam for not paying the cargo agent was linked to fees and not loan default. The widebody aircraft, though expensive, gave the airline the much-needed foreign exchange, which would help fund the immediate oil, route navigation and other charges. It was also easy to compete on routes with lesser capacity and feed on partners than the domestic sector which has cut-throat competition. 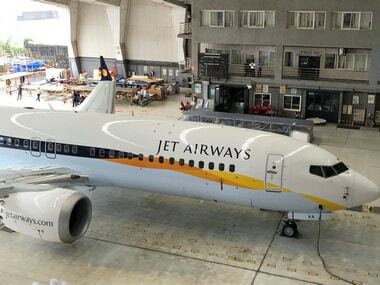 Till Jet Airways was pushed to the wall, the airline thus continued to operate its widebody fleet and its Amsterdam and London operations which help transfer passengers both inbound and outbound from partners at KLM, Air France, Virgin Atlantic and Delta. The skeletal schedule that the airline operates today sees less than 100 departures across its network. Compare that with market leader IndiGo, which is operating 100+ departures out of each of the metro cities, one knows how wide the gap is today. 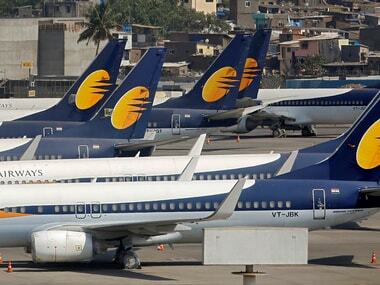 A quick search on the Jet Airways' website shows that the airline intends to operate only four departures from Mumbai — one each to Amritsar and Bengaluru while two to New Delhi — while the airline plans to operate a larger chunk of its flights from New Delhi where the ATR operations are now based. 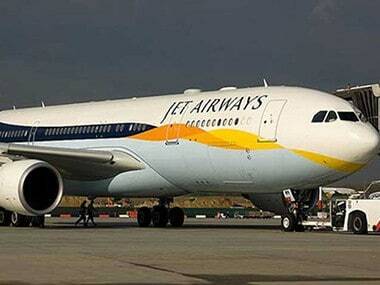 From Delhi, the airline expects flights to Jaipur, Bhopal, Indore, Dehradun, Amritsar, Chandigarh, Jodhpur and Mumbai. For the rest of the stations, they are unlikely to see any departures today or in the near future till the funds trickle in. While the airline intends to have these operations, a lot also depends on the supply lines. The last few days have seen oil companies stop fuel supply at airports leading to disruptions. Any more such disruptions could further truncate the airline's operating schedule for the day, causing massive inconvenience to the passengers who have already booked their tickets. Passengers, who have shown faith in the airline, would be worried a lot. The airline is neither adhering to its schedule nor is it certain about the flights it would operate. Even horrific is the case of international travellers who have little options to explore with many running around to get out of the Eurozone before their visa expires. In such an event, it could be prudent for the passengers to stay away from cheap fares which the airline may offer until the funding situation is normalised and the airline returns to a stable schedule. SBI, which leads the consortium of bankers handling the crisis-hit airline's rescue deal, has extended the deadline for submitting the EoI to Friday and by the end of the day, all the speculated names including that of Naresh Goyal could be out in the public. Yet, it is time when funds are infused, hands are exchanged, a new board is constituted, and the airline shows some glimmer of hope. However, it could take a few years to return to its fleet and network of what it was just half-a-year ago.